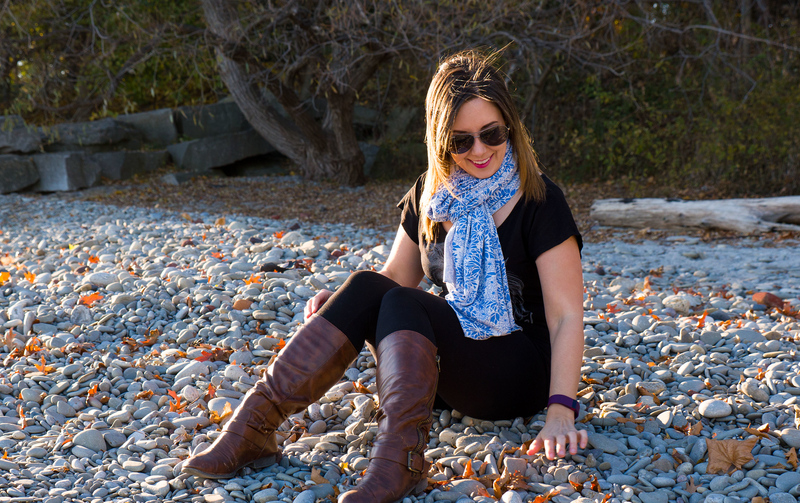 HappyLuxe makes traveling way more comfortable…and stylish! 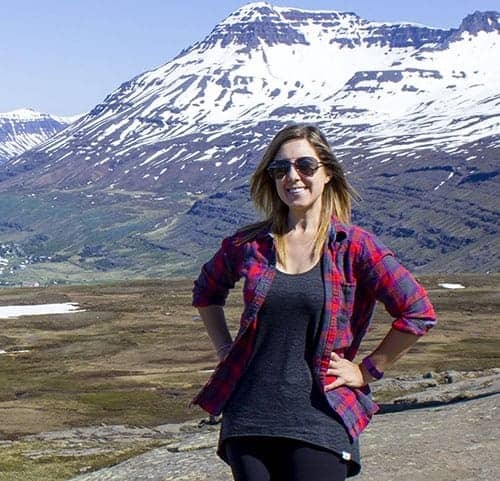 HappyLuxe has proclaimed their products the “world’s most comfortable travel products.” And while I haven’t tried every travel product in the world, I can assure you that their travel accessories will make uncomfortable travel situations much more enjoyable. Have you ever felt cold on an airplane? Have you wanted to get a couple hours of rest on a flight? HappyLuxe will help you feel refreshed and ready for adventures. I had the opportunity to test two of their travel accessories: the Wayfarer Wrap and the Escape Sleep Mask. Which HappyLuxe travel set would you like to win the most? 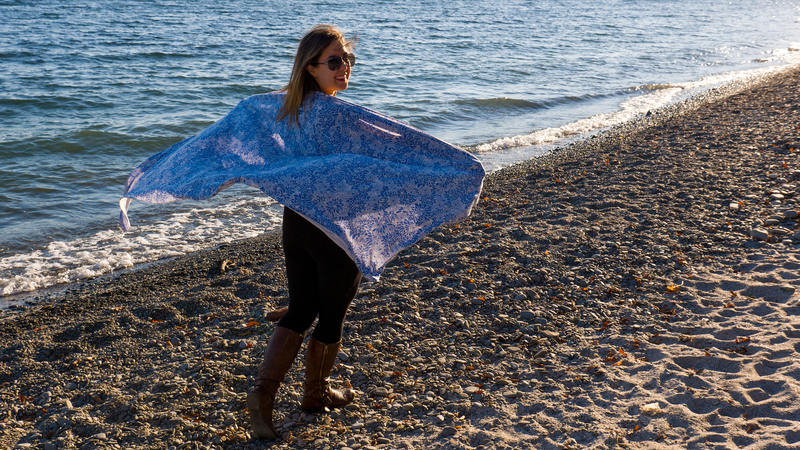 The HappyLuxe Wayfarer Wrap is a travel accessory you shouldn’t leave home without. It has multiple purposes when you travel the world and it’s a great item to stash in your carry-on bag. Though they come in several different colors, I adore this one called “Blue Wildflower“. 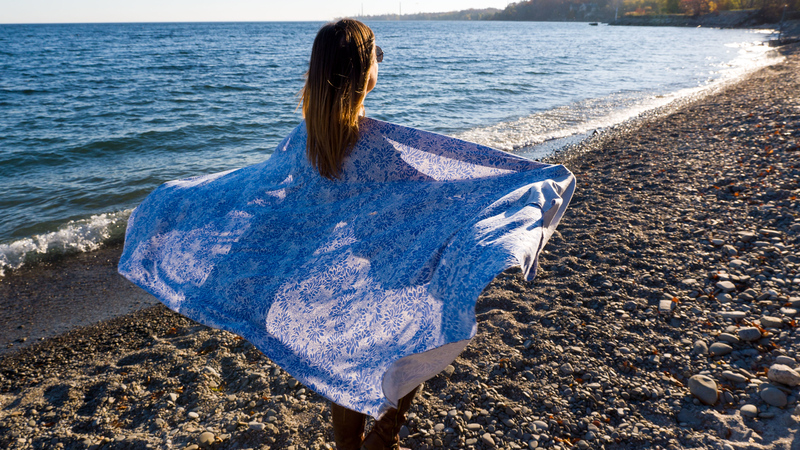 You can use this wrap on the plane as a blanket – it measures 72 x 35 inches. I tend to get really cold on flights, especially overnight ones. I’ve been caught in the past without a blanket and I was so chilly, I couldn’t rest! 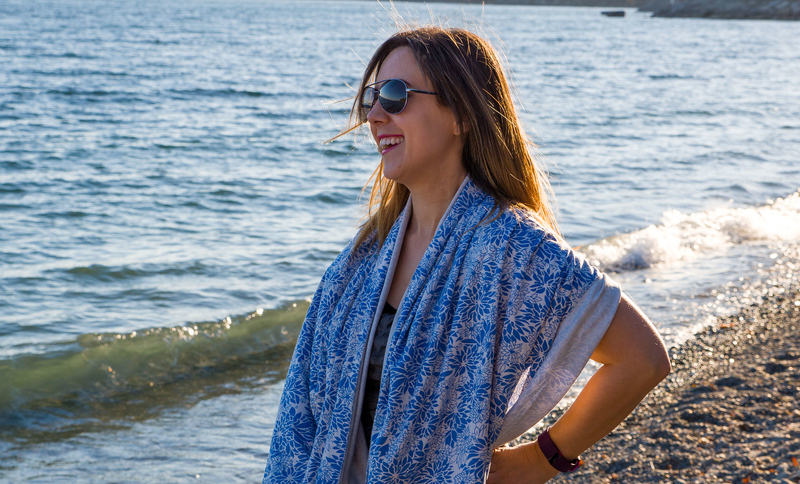 The HappyLuxe Wayfarer Wrap is made from luxurious MicroModal, a fabric made from beech trees that’s twice as soft as cotton. It’s sustainable, breathable, machine washable, and super cozy. There’s a secret pocket hidden in the back where you can stash an air-activated warmer (it comes with a package of “hand warmers”!) for extra heat. Scarves are so multi-functional while traveling. 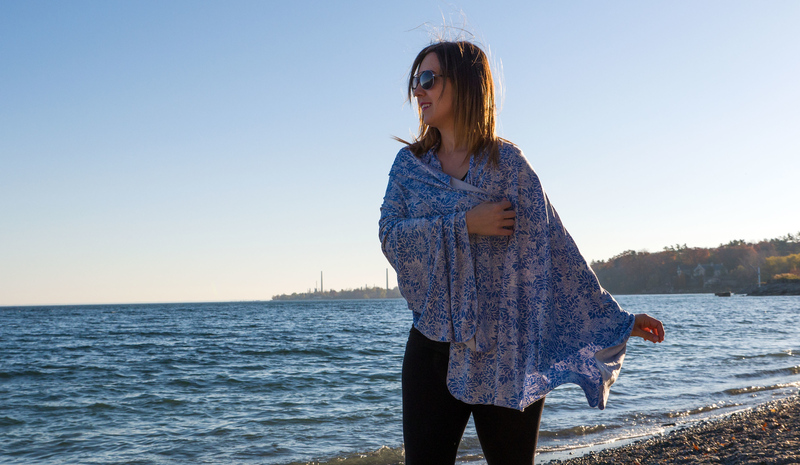 The Wayfarer Wrap can be used as a pashmina, a shawl, a neck scarf, a travel blanket, and so much more. In many situations abroad before entering religious sites, you need to cover your shoulders and head. 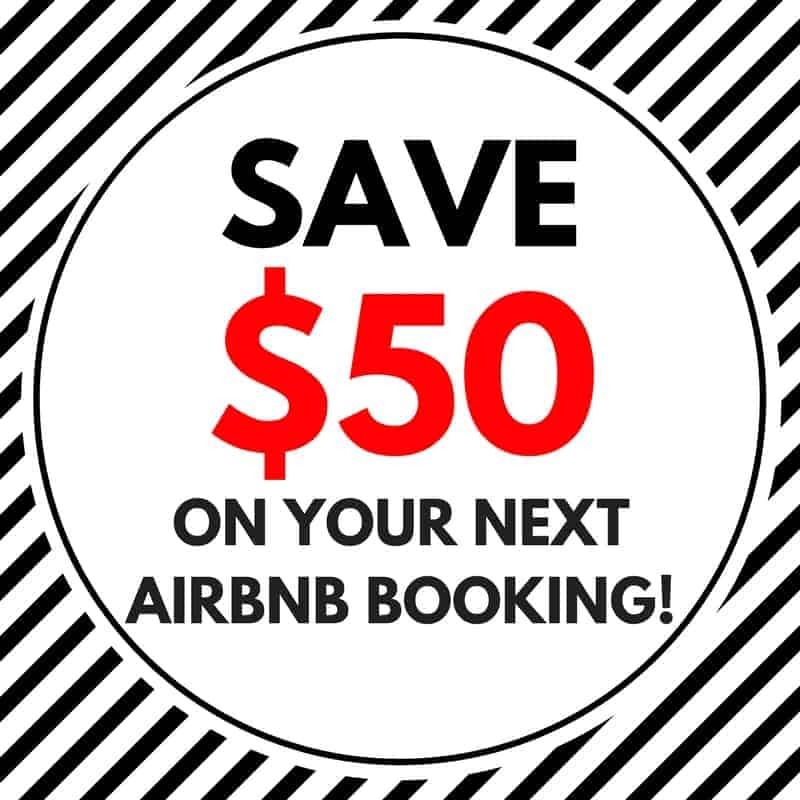 The uses are endless, and the price is incredibly affordable. This isn’t your average sleep mask. Just like the Wayfarer Wrap, the HappyLuxe Escape Sleep Mask is made from the luxurious MicroModal fabric for extra comfort. It’s stretchy and will fit any size of head. 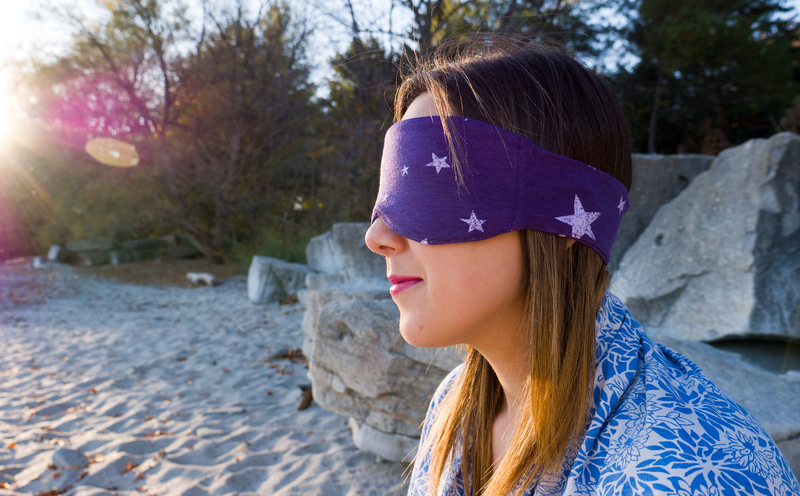 The sleep mask will keep extra light out while you’re trying to sleep. I wouldn’t leave home without a sleep mask, and this one is extra stylish! It’s called “Purple Daze” and it’s purple with cute stars. The Escape Sleep Masks come in a variety of patterns for your individual style. 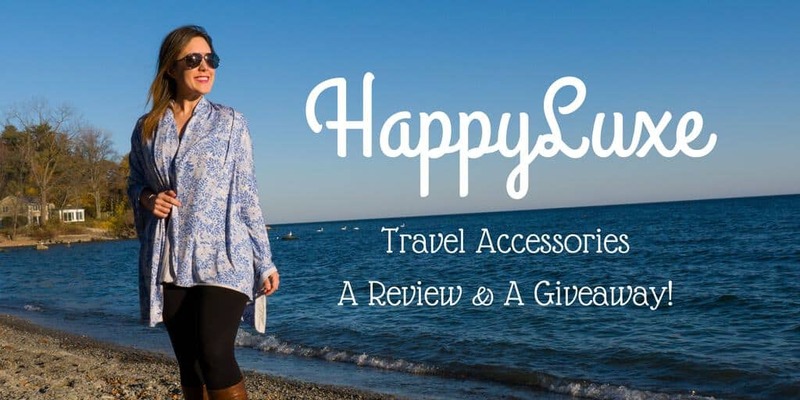 I highly recommend HappyLuxe travel accessories! Their travel products will keep you extra cozy in not-so-comfortable situations. I won’t ever leave home without my Wayfarer Wrap and my Escape Sleep Mask. There are other great travel accessories on their website, like travel pillows and money belts. Their products are all made in the USA and have a 100% money back guarantee, so there really isn’t any excuse not to give them a try. It would make a great gift for that travel lover in your life, too! 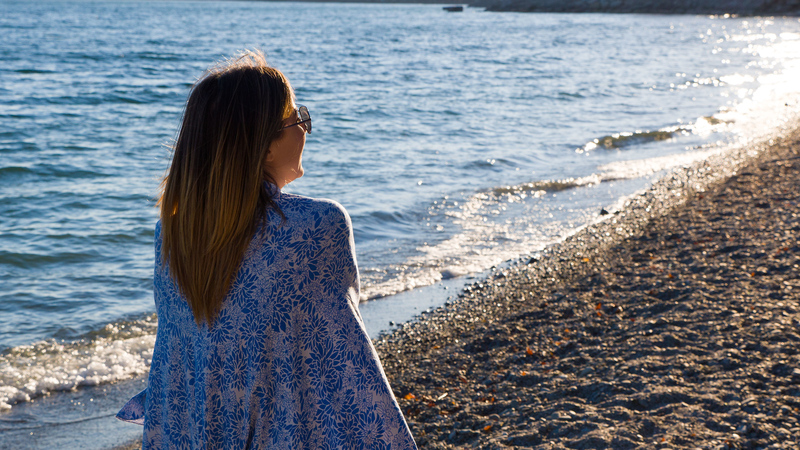 You might get to try a HappyLuxe travel product sooner than you think! I’m giving away one HappyLuxe Travel Set on the blog. You’ll be able to choose your favorite travel set and color from the ones in their shop. I highly recommend the luxury travel sets – you get a wrap, a pillow, and a sleep mask! There are a variety of ways to enter, and you can enter the contest everyday…so keep coming back to get extra entries! The contest runs from now until November 30th at 23:59pm ET. I’ll announce the winner on December 1st! Thank you so much to HappyLuxe for sending me a scarf and sleep mask to try, and for giving away one travel set to one of our readers! Our opinions, as always, are entirely our own. Looks like a great wrap! I love these versatile gems, especially when I travel with only a carry-on! What a great idea! Oh – too many to choose from. OK, I love the Sydney Purple Daze, but if I were to choose one with a Wrap (which’d be wise to, as your review of the Wrap is great!) I’d choose the Paris Luxury Travel set in Cool Grey. So adorable! I could really use a new sleep mask, but the versatility of the wrap is so fantastic! Tough to choose, but the stars on the Sydney Purple Daze are just too adorable to resist! Looks like a great wrap! I love these versatile gems, especially when I travel with only a carry-on! What a great idea! Oh – too many to choose from. OK, I love the Sydney Purple Daze, but if I were to choose one with a Wrap (which’d be wise to, as your review of the Wrap is great!) I’d choose the Paris Luxury Travel set in Cool Grey. So adorable! I could really use a new sleep mask, but the versatility of the wrap is so fantastic! 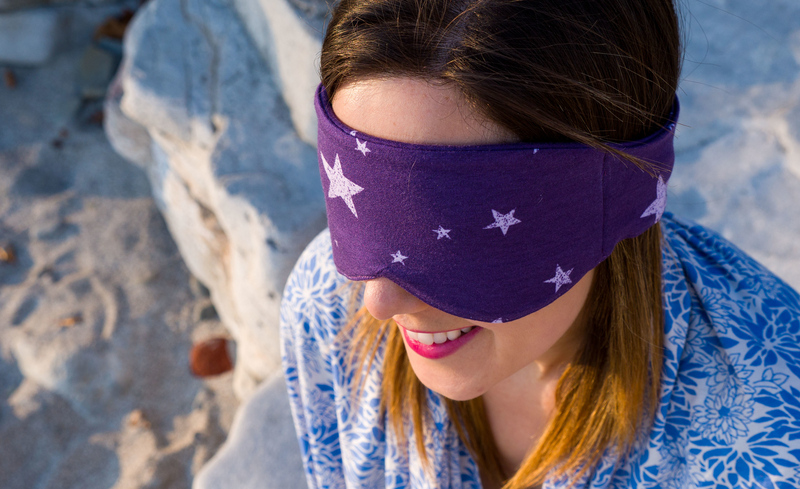 Tough to choose, but the stars on the Sydney Purple Daze are just too adorable to resist! 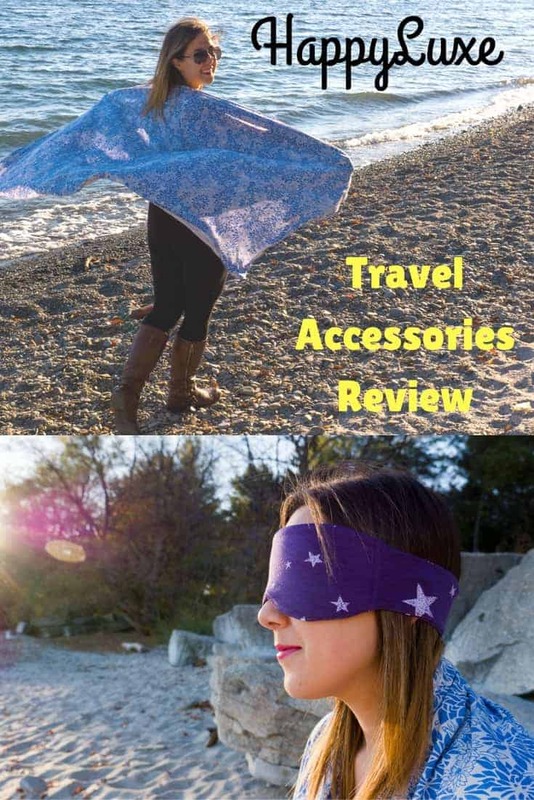 Thank you for sharing your article about HappyLuxe Travel Accessories Review.